The Walt Disney World Swan & Dolphin are hotels on Disney’s Boardwalk. While they are separate hotels, the Swan & Dolphin share amenities, architecture design and are mere steps away from each other. 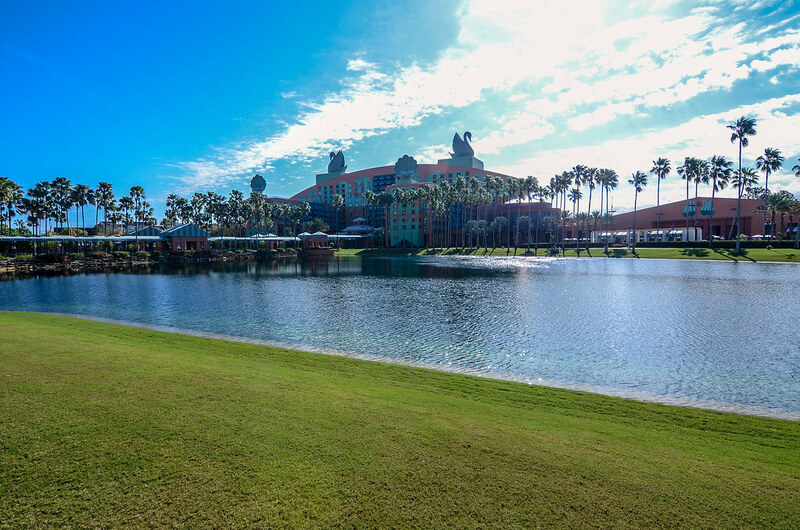 The Swan & Dolphin aren’t official Disney World hotels but they do have prime location on-site as well as most other amenities that come with staying at a Disney hotel. This review will include photos and our thoughts on the hotel’s amenities, theme, rooms and value. 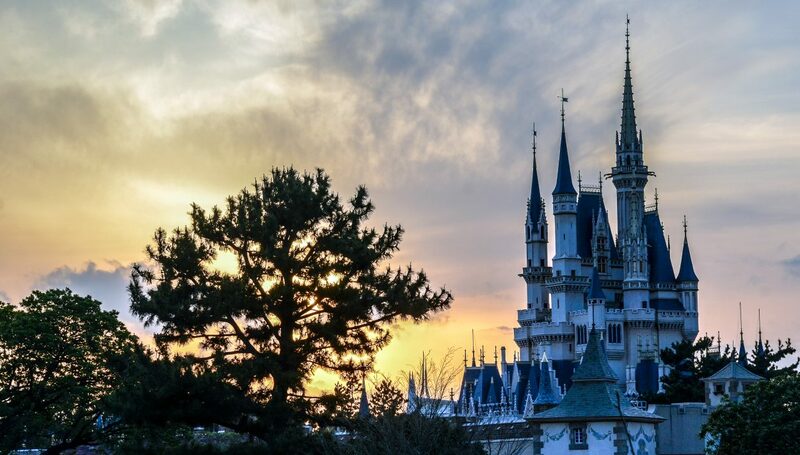 There are only two perks that separate the Swan & Dolphin and actual Disney hotels – Disney’s Magical Express and adding on the Disney Dining Plan. The former shouldn’t be a big deal as the value of the Dining Plan is negligible compared to paying out-of-pocket for meals at Disney World. Disney’s Magical Express is a decent perk, as it will save you the cost of a rental car or Uber if you are flying into Orlando International. Having said that, Magical Express is slower than the other options I just mentioned. Suffice to say, the Swan & Dolphin act as official Disney hotels without actually having that title. The Swan & Dolphin Hotels opened in 1990 and were designed by Michael Graves. Both hotels have a very distinct design that is divisive among Disney fans. What you think of the design and theme will obviously depend on personal preference. The obvious comparison in terms of design is the Contemporary, as neither resort has a distinct theme instead relying on gimmicky (not necessarily in a bad way) design. Contemporary Resort has the iconic A-frame along with the monorail running through the resort. 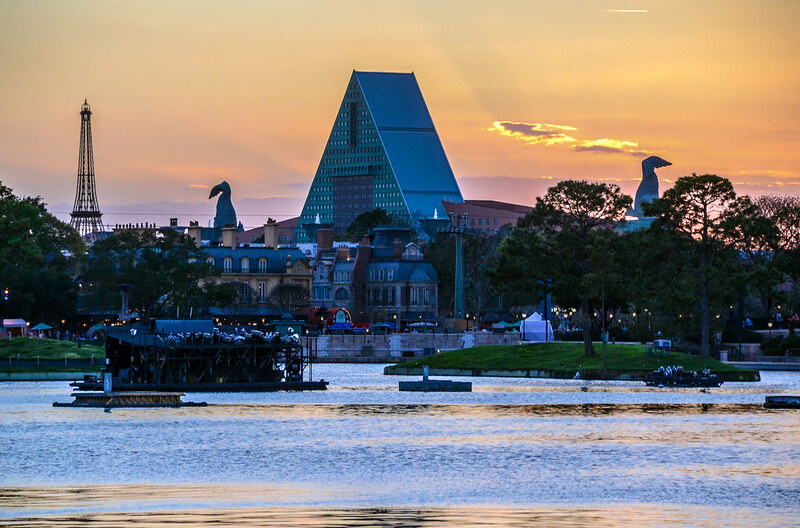 While the Swan and Dolphin don’t have anything extraordinary like that, their pyramid shapes rising above the Epcot skyline are very recognizable. For the most part, I like the Swan & Dolphin design. I think they add character to the Disney resorts in the area. On the downside, the architecture and colors have aged poorly. The resort looks like it could have been taken straight from the Vegas Strip and placed in Disney World. In terms of theme, there really isn’t one. 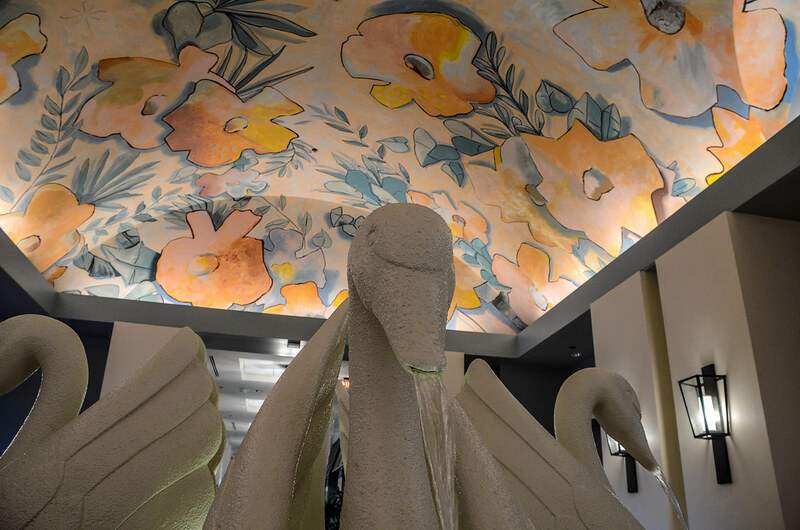 The Swan & Dolphin strives to be a deluxe accommodation hotel with unique style, again similarly to the Contemporary. While not having a distinct theme and having a divisive design can be a negative, the Swan & Dolphin make up for it with low price points in a great location and very nice hotel rooms. 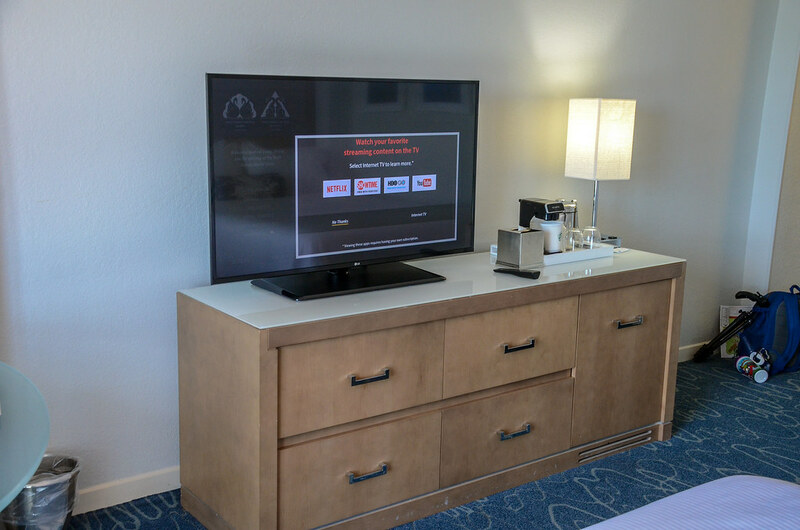 Disney’s Boardwalk is our favorite area to stay in all of Disney World. The Magic Kingdom resorts have an argument in that regard but we love staying around the Boardwalk because it’s within walking distance of two parks and has lively entertainment at night. Not to mention, it’s a beautiful area. The location alone is enough reason to consider the Swan & Dolphin. After factoring in the price, which is typically over $100 less than other Boardwalk (or Disney Deluxe) resorts then staying at the Swan & Dolphin could be a great deal. 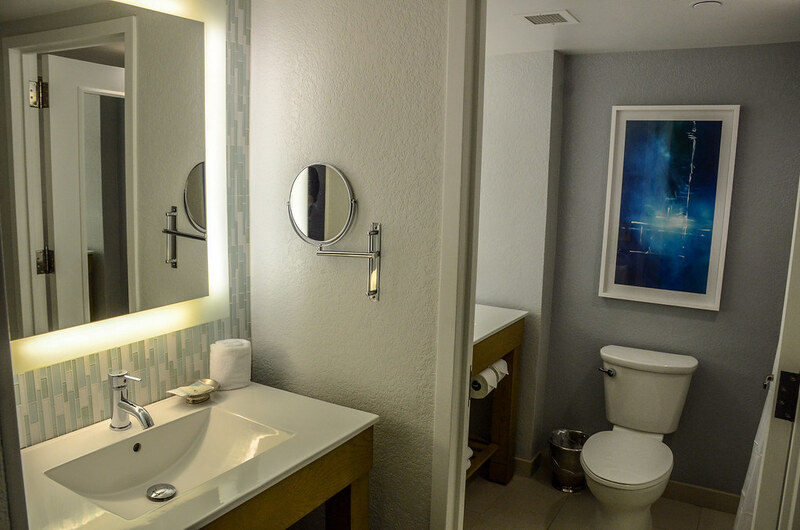 Swan & Dolphin has the amenities and rooms of a deluxe resort but at a much cheaper price. This offsets the lack of theme for us, at least to a degree. Let’s take a look at the room. These photos are all from the Swan Resort, which is what we recommend if the prices are close to the same. Much like the outside of hotel, the inside doesn’t have a theme but instead opts for a very modern look. I found the room to be spacious and thought the mattress was very comfortable. Of course, that may have had to do with finishing a half marathon after 4 hours of sleep but I definitely slept well that night. The TV was a pretty good size and could connect to any streaming service that you subscribe to. We enjoyed watching Parks & Rec on Netflix while winding down from a busy day. I really liked the main aspect of the room. What it lacks in character, it makes up for with a relaxing, modern vibe. There isn’t anything edgy about the room but it’s just a solid, spacious hotel room. A hotel bathroom. On the positive side, there was a sink in the actual bathroom and outside of it which I always think is a smart design choice. On the downside, I’m against the shower/tub combination that this room offers. You can’t have it all. All in all, the room was easy to take in albeit slightly boring. Frankly, it reminds me of the type of room Disney has been leaning towards lately without nods to theme but is a more leisurely hotel. 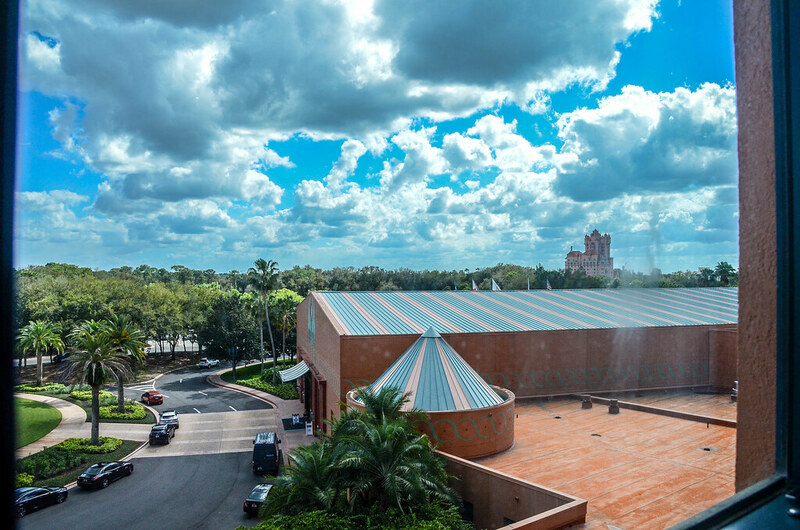 Depending on where your room is you’ll either have a view of the Boardwalk, Epcot or Hollywood Studios. While it’s not the most exciting view, it was fun to see Tower of Terror off in the distance. Unfortunately, the window was slightly dirty. We’ve already mentioned the best amenity – location. Being able to walk or take boat transportation to Epcot and Hollywood Studios is a wonderful perk. Bus transportation is offered to Magic Kingdom, Animal Kingdom, and Disney Springs. While the bus transportation was pretty standard, it was nice to have the option to catch a bus to any Boardwalk area resort, whichever came first. Once in a while, all of those resorts did share a bus but that wasn’t usually the case. 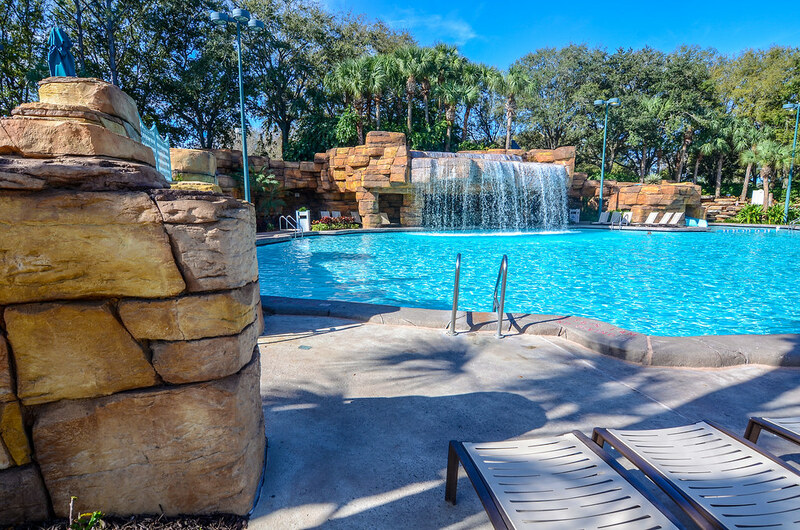 As far as other amenities, the Swan & Dolphin have an incredible pool complex with a beautiful waterfall, slide, and several hot tubs. If that pool is too crowded for you then there are several quiet pools around the resort, specifically right outside of the Swan. No, this isn’t the best pool at Disney World but it’s very nice and worth enjoying. It’s also open later than many other Disney World pools (although the slide does close earlier). Along with that, there’s an extensive beach area with chairs, hammocks, beach volleyball and playgrounds. You can also take the swan boats out into the water if you’re so inclined. This is a nice place to relax. There’s a couple of mini golf courses that are a short walk away from the resort that are very fun and also open late if you’re a night owl. Last but not least, the Swan & Dolphin have an exceptional slate of restaurants if you want to stay in and dine. The well-regarded Kimonos and Todd English’s Bluezoo top the list and Garden Grove is a cheaper character dining choice than the official hotel or park options. 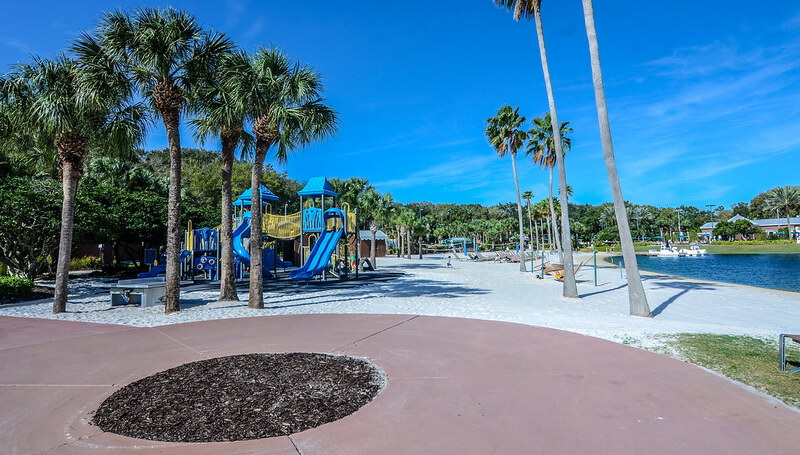 Overall, Swan & Dolphin has a strong slate of amenities along with a spacious room and excellent location. By all means, the resort fits the Deluxe Resort title except it’s not an official Disney hotel. The negatives are the lack of theme Swan & Dolphin offers, as well as missing out on a few perks that come with staying on site. We think that the perks missed out on aren’t much of a detraction. Whether this resort is for you comes down to whether you care about a Disney themed resort or if you are happy with a nice hotel. Swan & Dolphin does offer a much cheaper option for those that don’t want to pay the premium prices for the Boardwalk and Beach & Yacht Club. It’s not as nice of a hotel as those but remains in that category and is appealing because of the price. 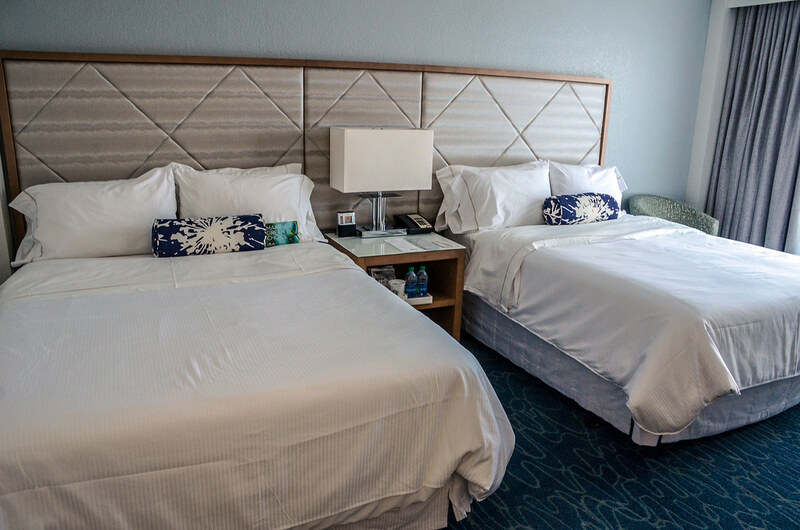 Have you stayed at Disney’s Swan and Dolphin Resort? Let us know your thoughts or questions below in the comments! Planning a trip to Walt Disney World? Check out our planning guide for help! If you enjoy what you’re reading here on Wandering in Disney, please subscribe to the blog and like our social media pages. You can do both of those things on the right side of this page. Thank you for reading, we really appreciate it!